By now you should have had plenty of time to give Shadow Of The Tomb Raider a solid play or have been working hard with it while all of the other titles get placed out there. At least that is the hope as we have word from Eidos-Montréal on the first bit of DLC coming to the game here and we can expect to see it on November 13th now. On all of the platforms that Shadow Of The Tomb Raider dropped on as there is no exclusive deal going on here as a few murmured a while back. So it is even more of a happy day now or you have been given the deadline on when to finish the core game so you can play the DLC without any issue. The first bit is called The Forge and will be adding in a few more locations for Lara to go and explore in. 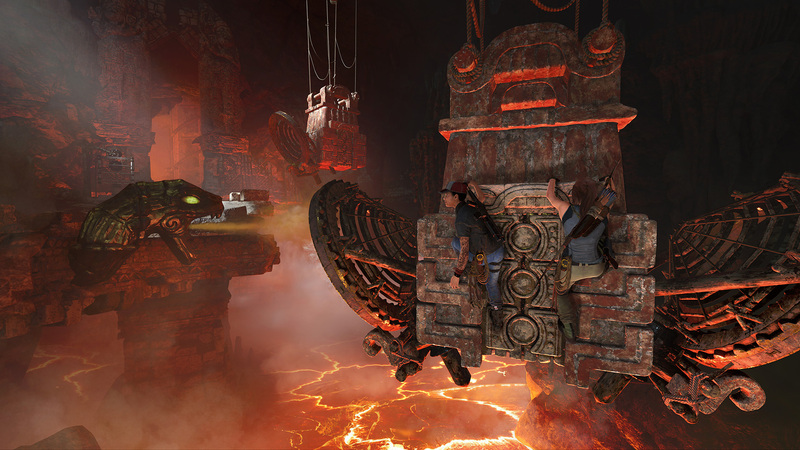 It is a lava-flooded location that adds in new challenges and other hidden gems all over the place. That and it adds the extra danger you have missed in Shadow Of The Tomb Raider so far in as there is lava and fire everywhere. There is no trailer for this as of yet, but we do have a few new screenshots to look at and get a feel for what is going on. It even shows how we will be taking advantage of that co-op play in Shadow Of The Tomb Raider to tackle all of these dangers. Nice and exciting. Did you expect there to be DLC for Shadow Of The Tomb Raider this quickly or are you ready for the seven bits to flow out to us? How difficult do you think this will actually be or will it be something just to add more to the gameplay time? What do you think will be the next bit of DLC to come to the game in the next month? Let us and the world know what you are thinking down in the comments. 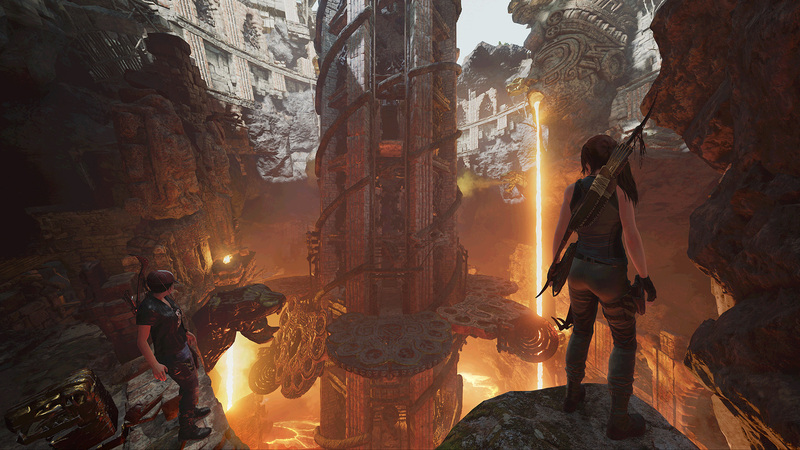 As we learn more for Shadow Of The Tomb Raider, we will add it all to the site here. Be sure to keep checking back in for all of that in the coming weeks and months.